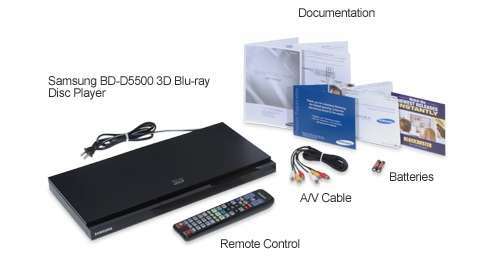 This item requires PAL TV Multi-System TV or a Video Projector to watch PAL DVDs 576i/p 50Hz content, it does not work on USA TVs because they do not support PAL signal, if your TV was purchased in USA please do NOT buy this item, as it will not work. The boot up sequence is fast and the disc loading time is faster than last year�s Samsung models. Using the blu-ray release of Hit List to test its picture quality, we immediately noticed the excellent details. Gooding�s knitted eye brows showed up his exhaustion white the distinction between his immaculate suit and shirt were clear. In general, images were sharp and lucid. Colors were natural, rich and were consistent throughout bright and dimly lit scenes. Black levels were solid and inky. Audio quality was on par with its decoding of the DTS-HD MA 5.1. The adrenaline pumping scene at the initial part of the movie brilliantly immersed the entire soundstage. Subtler background sounds such as the television noises and music in the silent bar were clearly audible and were a nice touch to the overall experience. The bass truly shines in the gunfire scenes towards the end, thumping out immensely but accurately as distant explosions were not as pote.